I used to hate the winter. The cold (and the subsequent heavy clothes). The darkness. The snow. The ice. The silence. And how difficult it can be to get around. I used to hate winter. Until I read The Outermost House by Henry Beston. For now I will just elude to it because I am reading it for a second time and taking copious notes, some of which I promise to share in future posts. I simply want to share that Beston’s observations about the arctic bird migrations observed on the outer shores of Cape Cod in the middle of cold and dark January were enough to inspire me to give winter another chance. Life does go on, even in the cold and darkness. Silence does not necessarily mean an absence of life. Those of you who read this blog regularly know of my lunchtime walks. 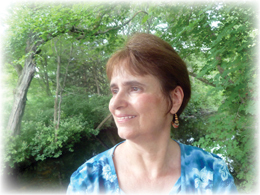 I work in Wellesley, Massachusetts, a town with the vision to set aside beautiful walking trails in the heart of the town center. I have been walking regularly since the spring and still find new places to go. My favorite trail is the Brook Path. 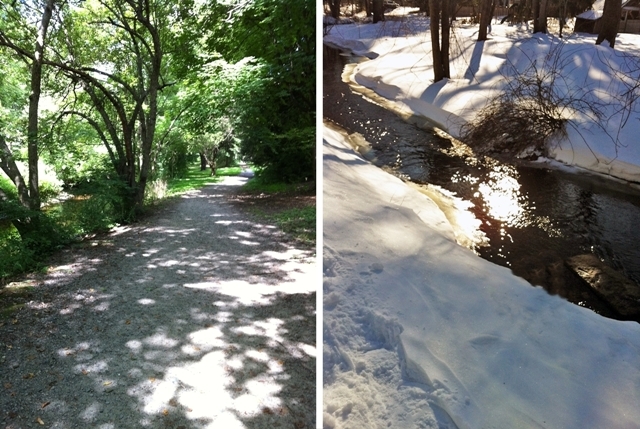 The town cleared the path of snow and I was able to enjoy a gorgeous and crisp winter’s day walking past the brook. And I realized it’s just as beautiful in its own way in the cold of winter as it is in the warmth of summer. The sun, of course, is in a much lower position during the winter and with the absence of leaves on the trees, dances on the water in a most delightful way. There is a greater force in the flow of the water because of the melting snow. At times it nearly rushes despite the small size of the brook. There are wonderful sensations in the winter. That crunching sound under your feet as you walk. The glistening snow. And the sweet silence. Walking introduced me to all these things and Henry Beston’s book gave me the impetus to give winter a try. The cold no longer bothers me; movement takes care of that. I am so grateful that I can find beauty in winter. It’s very different from the carefree summer breezes, fluttering leaves and the air filled with singing birds. It’s quiet and stark, the lines somehow clearer. Winter is a beautiful thing. And when I finish The Outermost House, I will share some of the most beautiful and poetic writing about the natural world that I have ever encountered.